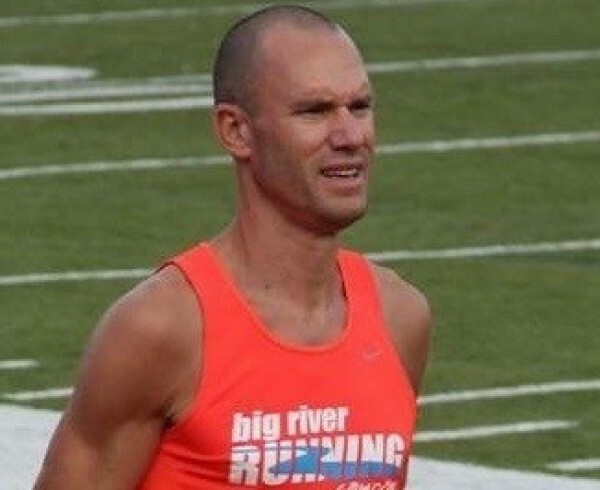 This week’s athlete is Brian Holdmeyer. Brian was has been a fixture of the area racing scene since high school. 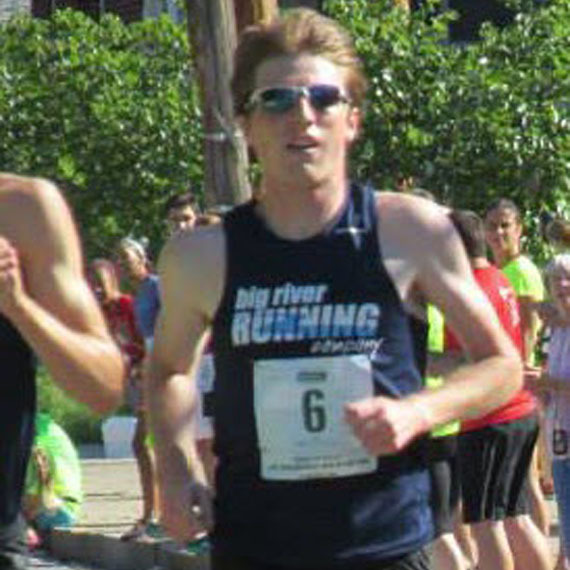 He ran for SLU in college and now is always near the front of area road races. Learn more about his history and training. Q: Growing up in Washington (MO) what type of training did you do in High School and what were your favorite races back then? Holdmeyer: Our training in High School was relatively low mileage compared to most other schools. I ran maybe 30 miles per week until late in my Junior year and into my Senior year when I started jumping up into the mid-upper 40s. We focused a lot of our workouts on intervals and repetition work which suited my style of running. Most of the tempo work we did in high school was broken up into 1000s, miles, or 10 minute segments. I really enjoyed XC during high school but I would say by my Senior year I was starting to realize that my potential was on the track. I ran anything from the 800 to the 2 mile on the track with the occasional 4×4 in there. My favorite race was the mile but I always liked running the 2-mile/4×400 relay double at the ends of the meet. Q: When you ran at SLU you were pretty much the fastest male athlete they had ever had (apologies to Joe Porter). What was it like to know that a lot of times when you raced, you had a chance to break a school record? And was that often a goal of certain races or just a happy outcome? Holdmeyer: My Freshman & Sophomore years I often was a bit too focused on times going into races and that really affected how I raced. I am not a great time-trial runner and I would much rather be involved with the race and trying to win or beat the person next to me. When I focused on trying to PR or run a school record, my racing really suffered and it took me a while to get comfortable with different styles of racing. By my Junior & Senior year, anytime I stepped onto the track looking to run a PR I was going to have a shot at setting a school record. 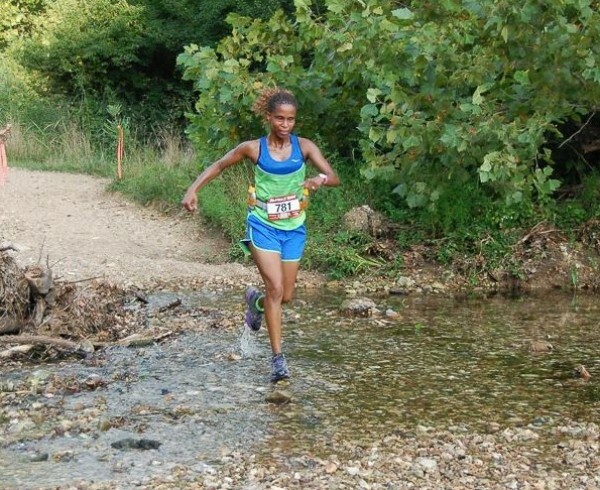 I really started having some of my best races when I stopped worrying about the times and ran my race. 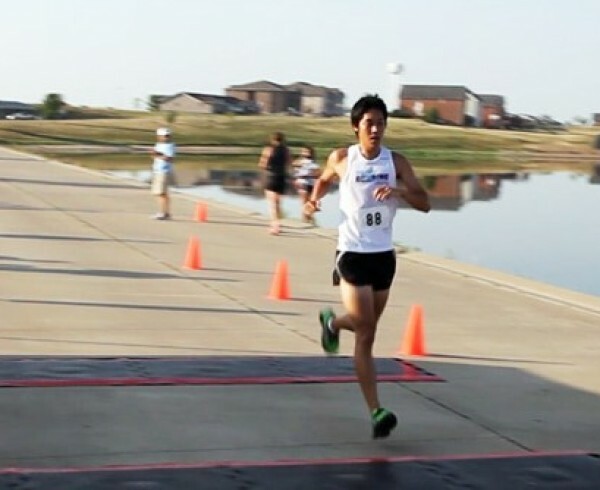 I found that I was much more engaged in a race if I was towards the front or if I was in a pack trying to figure out a way to beat the guy next to me. Obviously I was in much better shape by that point in my running career to be able to do that, but once I started focusing on the racing portion I noticed my times start to drop pretty quickly. Q: What has been your biggest challenge in running after completing college and starting your job? Holdmeyer: My biggest challenge since graduating and starting a full time job has been consistency. I had my first stress fracture a month after graduating and that kind of set the tone for how my running has gone since starting a full time job. That stress fracture forced me to take 8-10 weeks off while I was getting used to a new environment. After I was healthy, I found myself a bit burnt out from running and didn’t really dedicate myself to training and when I finally did start to try to get back into it I would rush myself into training and end up getting hurt again. After going through a couple of stress fractures and strained calves, I have been able to get myself into a more consistent training cycle, but I’m finding the prioritizing running and trying to squeeze all of the supplemental work in can be very difficult some days. Missing all of the supplemental work (strength training, cross-training, and structured recovery/injury treatment) added to the challenges of trying to train at a high level when you can’t dedicate 20-30 hours a week to running and recovery. Q: You mention being hurt for a period. Throughout your career you’ve had periods where you’ve struggled to stay healthy. How do you balance trying to get in training and stay heathy? Holdmeyer: During college I had 2 major injuries (compartment syndrome Sophomore year and a partially torn hamstring my Senior year) but I was pretty lucky outside of those to avoid any stress fractures or muscle strains. However, it has been a bit of a different story after college. I have had 2 stress fractures (5th metatarsal & tiba) and 2 calf strains in less than 3 years. Most of my post-collegiate injuries have been brought on by my own impatience and a mindset of wanting to train like I did while in college. As I mentioned in the previous question, I don’t have the same facilities, resources, or time available anymore and I have had to make a conscious decision to back off on mileage and intensity in some runs. I have had to re-evaluate my training philosophy and style. One of the big adjustments I had to make was getting used to being dropped on some of our long runs. When I first started running with the Racing Team I would press on our long runs to hold the pace and would be pushing myself over the edge as I wasn’t recovering properly. As I’ve started to take my training more seriously again, I’ve had to make the decision on some runs to let the group run ahead and keep my own pace so I’m not pressing too much and properly recovering. 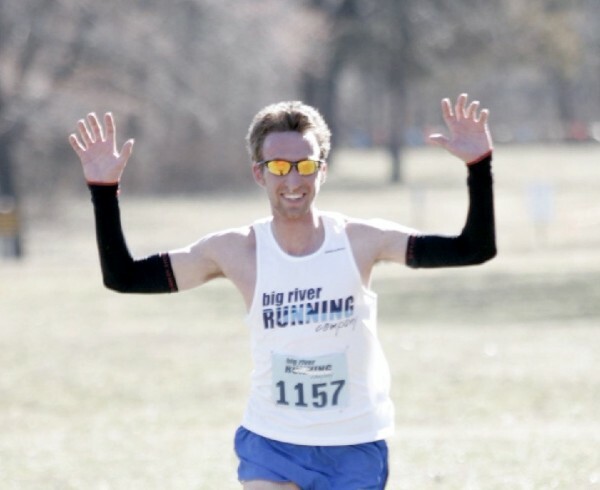 Q: How has joining the Big River Racing Team helped your training? Holdmeyer: Joining the Big River Racing Team has allowed me to continue training with a group of guys that have a similar goals around their training and racing. The team gives me a group of guys that have really kept me motivated to train and race. 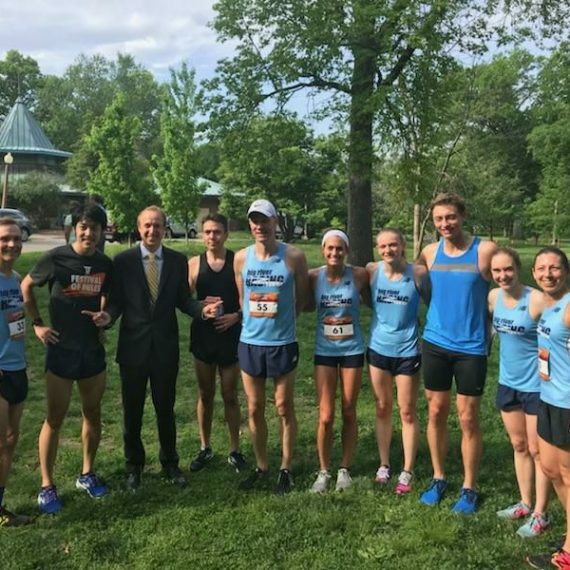 We have groups that meet up for long runs, workouts, and easy runs throughout the week and having those groups has made it much easier to get out the door and continue to put in the miles. Holdmeyer: Currently it varies from anywhere between 50-75 miles per week. I try to get at least two workouts in and a long run. Usually the first workout of the week is a quality workout geared towards the goal of my training cycle. My second workout is typically a little more of a general workout touching on different systems that aren’t as specific to my training segment. 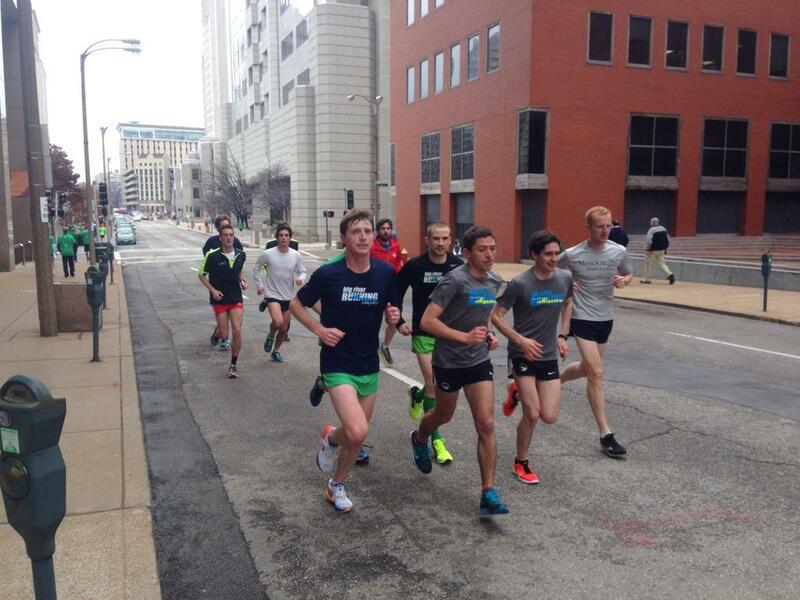 The second workout will range from a fartlek, to a marathon pace run, to even just some hard speed development. Long runs range anywhere from 13-15 miles, but I would like to work on getting that number back up to the 18-20 mile range by the end of this training segment. Q: What are you currently training for and what are your future plans? Holdmeyer: My training is currently focused on mid-distance road races, mostly 5ks. I will continue to keep that as the focus at least through next summer and the Macklind Mile. After that I will look re-evaluate my training and see if I want to keep my training the same or step up a bit in distance. Q: What is the next big race for you? Holdmeyer: I just sat down last week with Carter Snow to write out my training schedule through the Spring of ’16 and the 2 goal races for this training block will be St. Pat’s and the Shamrock Shuffle in Chicago. 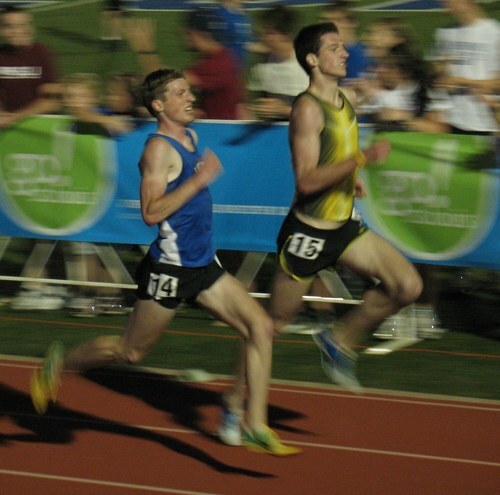 After the Spring, I will shift my focus back to the shorter distances and take another shot at the Macklind Mile. Q: What is your favorite running experience that didn’t involve a race? Holdmeyer: Some of my best memories/experiences have been from racing because that is why I got into the sport and the racing aspect is what I enjoy most about the sport. Outside of races I really enjoy the social aspect of running and being involved with a team. When you spend 10+ hours a week training over a few years you see some interesting things during runs and have a variety of discussions covering a broad spectrum of topics. Q: Would you rather have an Olympic medal or a World Record? What distance/event? And why?